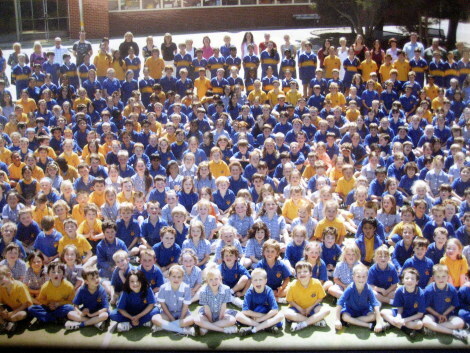 Cheltenham Primary School is located in the bayside suburb of Cheltenham, 15km south-east of the Melbourne CBD. Our historic school attracts a number of families from outside the area due to the range of challenging and engaging programs we offer our children from Foundation to Year 6. There are currently about 450 students at the school, ranging in age from 5 years old (Foundation) to 12 years old (Year 6), with an average class size of 23 students. Classes are either straight grades or composite grades, enabling children to develop at a rate that suits their capabilities and to learn from their peers. Our school employs specialist staff in areas such as Physical Education, Visual Arts, Performing Arts, Library, Early Intervention, Digital Technologies and Sustainability. We focus on the development of the whole child: academically, physically, socially and emotionally. Our school prides itself on its strong community links. Wee welcome the involvement of families in a range of school programs and activities. The school has very strong partnerships with businesses and organisations within the local community. We are very fortunate to have several unique aspects to our school, including a vegetable garden and orchard, a kitchen classroom and a wildlife sanctuary.We are also committed to strongly resourcing the school in the area of digital technologies.